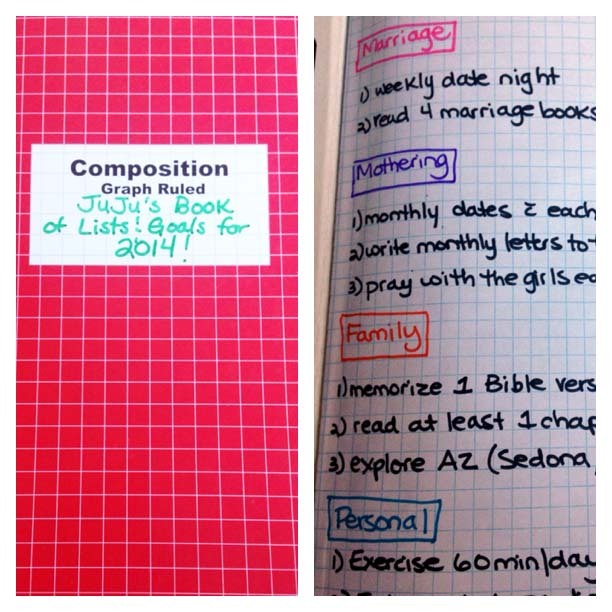 Goal Setting for 2014 | I am JuJu! This entry was tagged everyday life, goal setting, goals, health, healthy living, life, organization. Bookmark the permalink. Great goals!!! I lovd you thanks for being an inspiration! Yes, love your goals. I have some similar ones. Simplify, definitely, might even be my word this year. Also want to run my 1st half marathon. I run some fintess accountability groups and I’m hoping to get one going every month this year. I need to get working on my project life and read some personal development books. HAve you read any marriage books that you would recommend?